In this article we look at the best ear protection for stand up paddle boarding in all seasons, this includes winter and spring, the coldest months to surf and summer and autumn. In the UK all year round is seen as cold water SUP boarding and keeping your head and ears warm can really improve the enjoyment of the sport and the time you sped in the water. When stand up paddle boarding in cold environments, always think about your ears before you go, make sure you've packed your extra layers and ear protection and then the surfing, is all about surfing. You don't have to worry about the cold or big slams and your ears and head will thank you for it. When SUP boarding in the summer months when the water is warmer it is more adequate to wear less layers as you are not entering the water as much as if you were surfing but still using ear protection as the type of water entering you ear hasn't changed. How can SUP Boarding affect your ears? If you are concerned you may have Surfers Ear, it is worth consulting your Doctor or Audiologist for an ear examination. When water is left in your ear after falling into avariety of different waters from lakes to rivers to the sea it creates a moist enviroment for bacterial growth. If the skin lining your ear canal is already irritated or inflammed, this with the combination of stagnent water in your ear canal will encourage an infection to develop in your ear canal. This type of infection is known as Swimmers Ear (Otitis Externa). If you surf regularly in cold water - custom made ear plugs are more expensive than generic ear plugs but will be worth the investment. If your more of a occasional surfer using the generic shop bought plugs is do-able, however the additional use of a neoprene headband or hood will help keep your ear plugs in as well as give extra protection to your ears. Pratice and practice, the better you get the more of a chance you have of staying up and out of the water. Try out yoga to help improve your balance. Only SUP board in waves you can handle. Keep out of the way of your paddle board when you fall off, paddle boards are huge and you do not want this to hit you on the head. 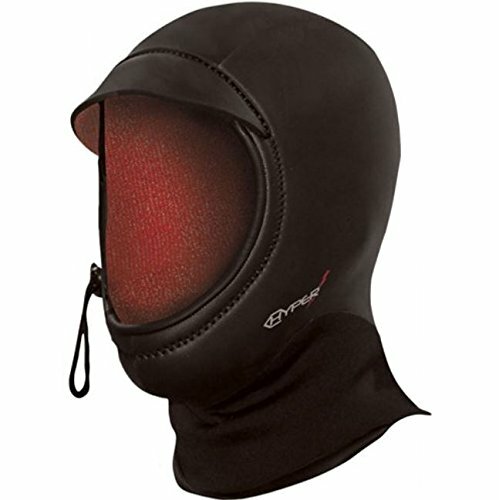 Using a neoprene hood anyway while surfing will help keep the water around your ear warmer. The occurance of "brain freeze" is common while stand up paddle boarding in cold water, however there are things you can do to prevent it. 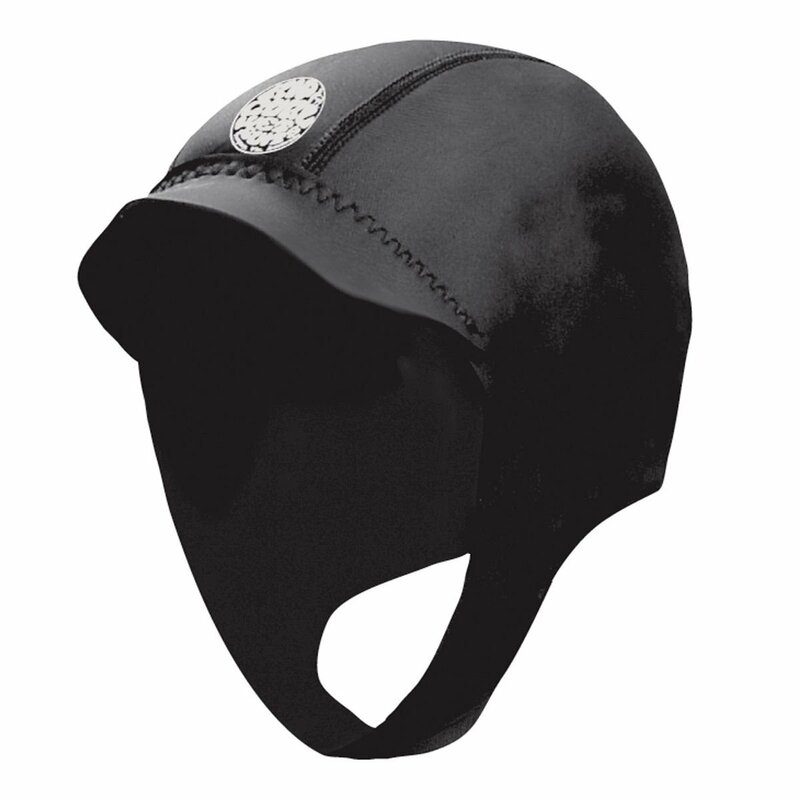 Such as a specifically designed wetsuit hood for cold water SUP boarding. When SUP boarding in the summer months or in the tropics where and when the water is warmer it is sufficient enough to wear less layers and not wear a hood. This is also because you are not entering the water as much as if you were surfing. The O'Neill Psycho wetsuit hood is a soft and comfortable 1.5-3mm neoprene hood. It is very stretchy making it easy to get on and off and the neck is made of lycra which helps to keep it skin tight for extra insulation. The stiff peak prevents water from running down your face as well as the potential exposure to the occasional burst of sunshine, not that that happens much in the UK. The peak also helps to keep the wave splashing your face as you surf which is actually very handy! Make sure to measure your head circumferance before you buy as the O'Neill hood comes in six different sizes and although the material is stretchy the hood may be too small or big for you making it less likely to insulate and keep your head warm. Having the perfect fitted hood will help tremendously with heat retention and keeping the water that surrounds your outer ear warm. Being 2mm neoprene thickness this is a great hood to protect your ears during summer and autumn (if you didn't know, beginning of autumn is when our UK waters are at there warmest), but when it comes round to winter and spring you should look at a slightly thicker material wetsuit hood. The Hyperflex unisex wetsuit hood (link is external), is thicker at 3mm neoprene thick. Basically there are three layers to this hood on the outside there is chill blocker mesh exterior for wind resistance, inside of this you'll find a strong yet flexible AMP stretch neoprene layer and then this is lined with a soft thermal fleece for extra soft comfort and warmth which is excellent for your ears, meaning you won't get any rubbing if you're moving your head a lot. To the top of the hood is a small visor to reduce water hitting you in the face, it is not stiff so this will not completely stop water hitting your face, it will just mildly reduce it. There is also a face cinch or toggle to tighten the wetsuit hood further. The hood is solid in its manufacture using both glued and blind stitched seems. Again make sure to measure your head cicumferance as it comes in three sizes, small, medium and large, the neck is a little thick and this makes getting the hood on a little tricky but bear with it because it is a warm hood and the extra length to the neck will allow to sit well with the collar of your wetsuit. The Rip Curl dawn patrol wetsuit cap (link is external) isn't a full hood however for days where its warm outside and you do not want to go the whole way with a hood, this little cap helps to still protect your ears and keep your head warm. It comes in 5 different size options and unlike a hood it does not protect or cover your neck. The visor does help prevent some water running down the face, it is quite large which means the visor is a little bit flappy. The cap is kept on via a stretchy neoprene band that goes underneath your chin. The thickness is about 2mm so your looking at this being a summer/ autumn kind of wetsuit hood. I really feel this cap is worth thinking about because UK waters being cold most of the year this cap allows for those occasional warmer times. It is a little easier than a hood to get on and gives someone this option of an alternative if they are not keep on a full over the head hood. The Two Bare Feet hood, is more so a diving hood. In thickness it comes as a 5mm or 7mm neoprene. The reason I am including this, is that I have personally tried this out being a diver also and found for winter surfing this to be perfect. 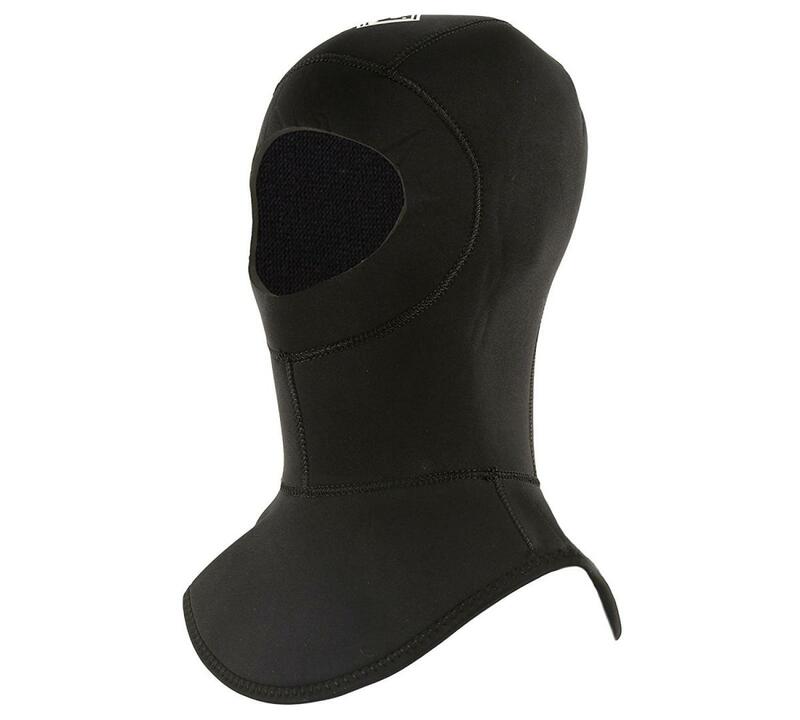 It keeps your head toasty warm, there is enough leaverage for it to fit under your wetsuit to join at the neck part so there is no gap between the wetsuit and the hood and there is only a minimal amount of skin exposed at the face area. It is a snug fit but there are a number of size options to choose from. What I also like is there is not a lot to it, so there is little chance that seems may come apart. There is no visor on this hood and that is becuase it is designed with divers in mind, but depending on your level of surfing and what type of surfing you do whether short, long boarding or with a mini mal, this may be all you need. What is important here is that it's super thick and easy to get on and off. Wearing a good quality hood will definitely help reduce the chances of bony growths developing within your ear as the hood will help to keep the water entering your ear warmer than the actual temperature of the sea water. The problem is a hood will still allow water into your ear which can over time cause swimmers ear if you regularly Stand up paddle board in not only the sea but in polluted rivers, so for extra caution, using ear plugs will also help. In fact if you the option and affordability for ear plugs or a hood in regards your ears you would be better opting for ear plugs. Preventing water getting into your ears completely will protect your ears. 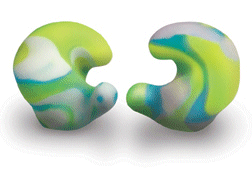 When it comes to finding the right ear plugs, there are many options out there but you need to find the ones specifically designed with surfing in mind. 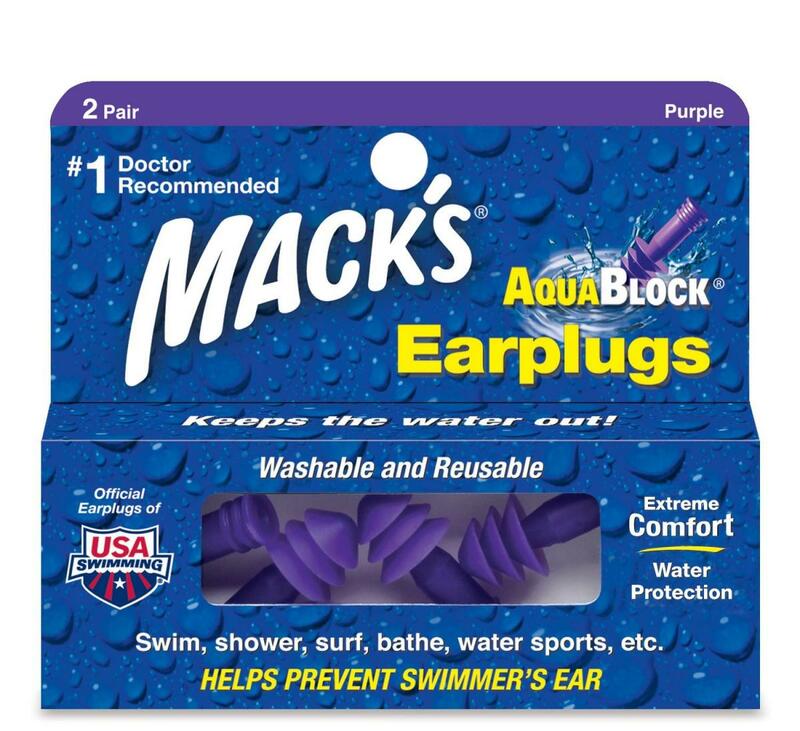 For the cheap and cheerful option there is Mack's aquatic ear block ear plugs. Made of silicone and pre-constucted these are simple to use. 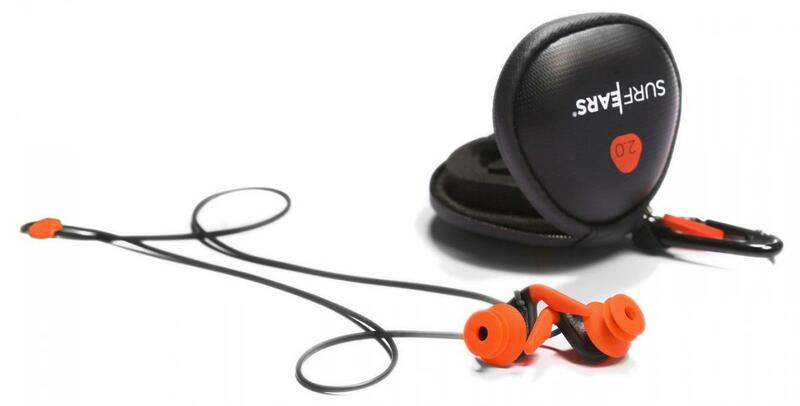 It has a triple tiered appearance to allow for a more customised fit and seal of the ear. These are washable and reuseable and if you have been previously using blue tag (which I have heard surfers use) then this is definately a better option. They are not custom made therefore you may have the potential for water to leak through or for the ear plug to even pop out. They come in the option for clear or purple, I would go for purple, just in case they do fall out you will have more of a chance of finding it. The Hot Surf 69 silcone putty is a different ball game altogether, with these you mould the putty to your ear before you surf. Again due to you doing this yourself and you can't see your ear you will need to take time to do this to check it is fully sealed your ear. The box comes with 6 balls of putty so if you mess up the first try you have the option for another go. There are other branded silicone putty ear buds (link is external) which will work just as well if that is what you are after. The best solution to protect your ears while using a hood is custom fit made ear moulds. Although these do need you to have an impression of your ear taken, this means the ear moulds themselves will match your ear correctly. An ear impression will take into account each contour and unique bumps and shapes of your ear. If you have tried generic ear plugs and have still yet to find them to seal your ear properly then these are a must for an avid surfer. What you will find is because they match your ear shape correctly they will also be much more comfortable in your ear as well as keeping your ear fully sealed for water. The custom fit also has the ability to stay within your ear better and most custom made ear moulds will come with a lanyard to connect to your wetsuit if they do fall out. The major things to consider with custom made ear plugs is the price and booking yourself in with an audiologist to get an impression taken and over time you will need to have them re made as your ears slowly grow. If stand up paddle boarding is your world then custom moulds really are the way to go.